How much footage do you show? Kyle on How much footage do you show? The future of Spring Splash in the city of Whitewater is currently up in the air with Wisconsin Red now pulling out their sponsorship of the event. Last year the event brought in many young adults from the outside communities and the large scale parties led to many concerns for Whitewater residents. The main issues were about Wisconsin Red’s involvement and the concept of the entire event as a whole. “To me this is a larger issue though, it’s not necessarily about Wisconsin Red, it’s about having a police department and the city as a whole and the university be prepared for any kind of event,” Patrick Singer the president of the common council brought up during the discussion. Even though Wisconsin Red may or may not have caused the issues of last year during Spring Splash, it is almost a guarantee that students will continue to host parties in any given weekend in April to celebrate the warming weather. “We need to stop and control to some small degree the madness, so that we can collaborate on a successful event that every single person on this city council has talked about, that is a desire for people to have a college experience, not a mob mentality experience,” Chief Lisa Otterbacher of the Whitewater Police Department stated. The Whitewater City Police Department has been in contact with many area city police departments as well as county sheriff’s departments to help make this year a much safer Saturday in April. Even though there are some plans in place to make this year a much better environment for the community, the city of Whitewater may be behind in scheduling. “This meeting tonight in February should have been held in May of last year, so you are a little late,” Larry Kachel mentions to the council during Tuesday’s meeting. Kachel works for the Parks and Recreation Department and still has may questions about the fluidity of the event and staffing to keep the event under control in the city. The issues regarding Spring Splash are full of controversy and at the meeting on Feb. 7, no immediate actions will follow. There will continue to be further discussions about how to best portray and handle the spring student party in the city of Whitewater. Also discussed at the common council meeting on Tuesday was the retirement of Boomer, the K-9 for the Whitewater Police Department. The handler for the dog, Joseph Matteson, has recently decided that he will be leaving the city to serve another community. Matteson has indicated that he would like to purchase Boomer to take with him as a pet for his family since chances are the dog would not transition well to another handler. The cost to replace Boomer will be $3,500, the cost of training for a new dog, so the community can keep their K-9 unit the fundraisers worked so hard for. The search is underway for a new dog and a new handler that can now be trained together to continue the successful K-9 program in the city of Whitewater. The last key points brought to the meeting were the announcement of a new communications manager, Kristen Mickelson. She is a graduate of UW-Whitewater and excited to be back to give back to the community she once lived in. There have been several accidents at the intersection of North and Cherry streets and there is discussion of placing speedbumps along the east side of the hill to slow people down. Property owners will be notified and the discussion will continue at the next council meeting. As Scott Pelley accepts his award he discusses how journalism has changed over the years and how we need to go back and think about the basics again. Recently there have been many times where journalists have gotten the story wrong. Once something is on the internet it can spread so quickly. Pelley made this seem as though it was a bad thing that the news was able to spread so fast through social media and other sites. Although there is no excuse for getting information wrong it is still important for the information to get out quickly. One thing that bothered me the most was that he labeled sites such as Facebook and Twitter as gossip sites. Although this is where many rumors come from it is also used as a tool to get important breaking news to the public in an efficient manner. He stated that if you are first no one will remember but if you are wrong no one will ever forget. The first part of that I do not believe to be true. When I am looking for breaking news I know the reporters twitters that I prefer since they will have the story up first. The second part I believe to be true, but I think that reporters are only as good as their sources. Growing up in this time I think we do hear all of this information but at the same time people want different things and they push immediacy very much, not that it is a bad thing. 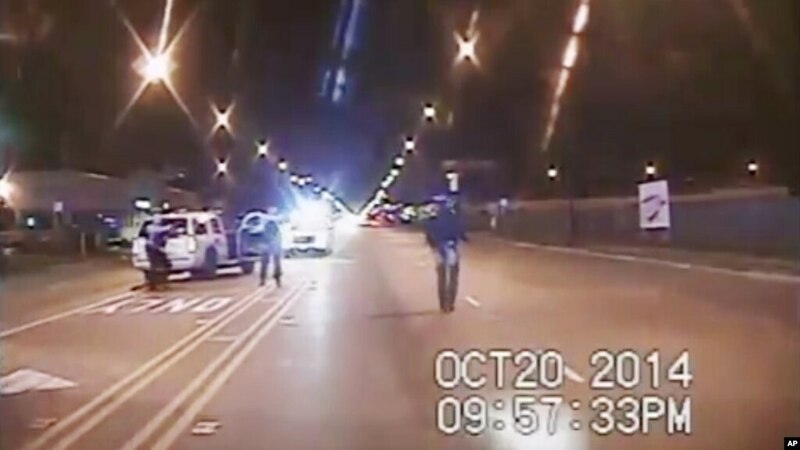 Chicago officials released the video of the 17 year old that was shot 16 times by the a police officer. The incident happened in 2014 but the video was just released on last Tuesday. News rooms across the nation were struggling with how much of the video to show. The family did not want the video to be shown but the video was not as visually graphic as many people expected it would be. This is such an important issue because it is important to respect the family but viewers will be interested in the video and help with viewership. Officials were worried about violent protests after the video would be shown to the pubic. However to the surprise of many, most of the protests have been pretty modest in scale. I think this is a common problem but a unique issue since the video is over a year old. One station chose to play the video until the first shot and then they stopped the video. I think this is a pretty good way to approach it since i think it just seems gruesome to show someone get shot 16 times. Posted on December 2, 2015 1 Comment on How much footage do you show? Last week a story was published from ‘The Tennessean’, a Gannett paper suggesting that the National Guard round up any Syrian refugees who have been resettled in Tennessee. The story got many re-tweets the URL that the story led to was not the one approved by the paper. One thing that the paper didn’t know is that anyone could could plug in anything in the SEO keyword part of the URL. No other elements were changed and there was no hacking, coding, or other skills required. This seems crazy simple in order to do this much damage to the name of a paper. This makes me realize how easy it is to change things online and let them keep expanding. Obviously this is a huge glitch and it has been fixed but it is interesting to think about how many other news sites have been set up in this way. Most journalists be advised not to carry arms because it might undermine their status as an observer. But one crime reporter is open that he carries a hand gun with him everywhere he goes. He works for ABC Color in a Paraguayan city that boarders Brazil. This town is a major hub for drug trafficking and smuggling and after over 20 years of reporting on the matter he is a target. He is receiving The Committee to Protect Journalists’ International Press Freedom Award in New York this month. This specific journalist is not alone in this matter. 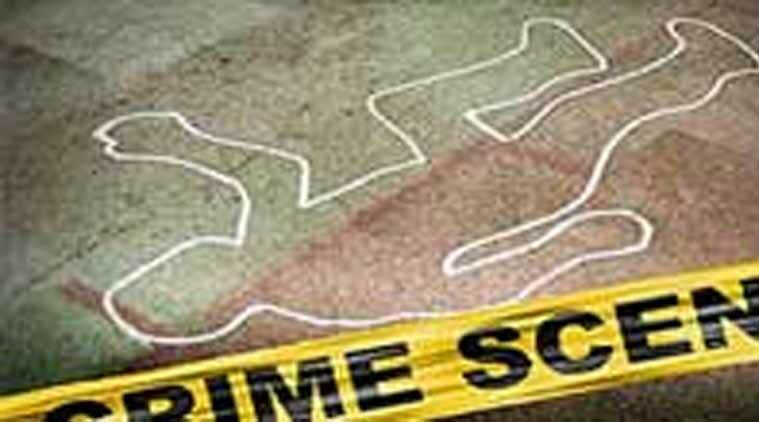 Several other journalists that have won t he award have been shot and killed. These journalists have gone through all of this just to get the news to the public so they understand just how serious certain topics are. It is so interesting to see how dangerous it is for reporters in other countries around the world. This is something that I never took into consideration when choosing this career. Even though these cases are somewhat rare there is an inspiring aspect. As a student it is amazing to read these sad stories to see just how passionate some people are about news. We all see these hilarious memes where there us a cute animal doing something silly. Animal videos are so popular that it is about nearly half of video postings internet users make. But one thing that I know I had never thought about is how someone took that picture and what the circumstances were. 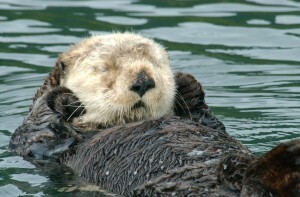 Last month one video of a group of boaters poking a sleeping otter tweeting, “When someone wakes you up before your alarm clock.” I honestly saw this and thought it was funny. 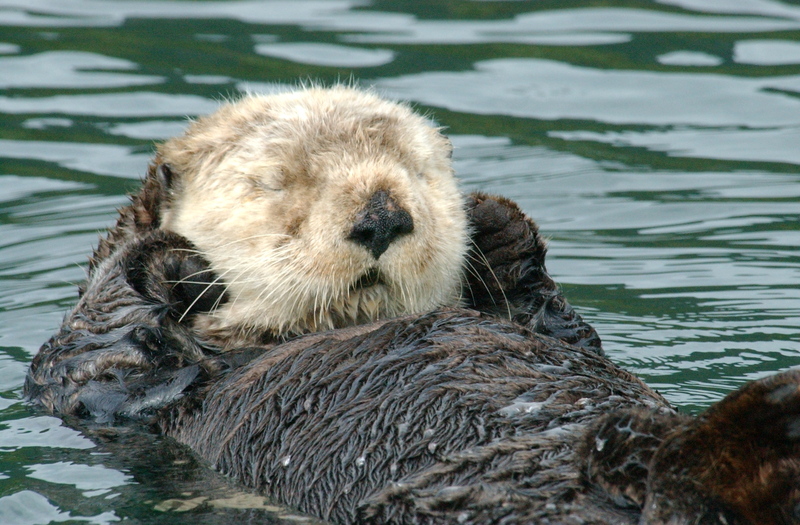 But when a marine biologist came across the video he pointed out that pestering an otter is illegal due to the Marine Mammal Protection Act and the Endangered Species Act. Without this background information the video seems so innocent and harmless, even cute and funny. But just becoming more aware will help the treatment of these animals and the shares of the abuse on social media. There are hefty fines for this type of behavior but on social media we are promoting it. I know that this will change the way I view these posts and I hope it will for others as well. As we all know the entire print world is struggling with readership. But a few newspapers down south have come up with a new way to get readers more interested. Staff members have started digging through photo archives and printing interesting old photographs. This is such a great idea and a unique way to get readers interested in the seeing the history of a town through photographs. I know that I am very interested in old photos because they are just so fun to look at, I am sure this is the case for many other people too. ‘The Herald’ in Alabama is not only trying to display the old photos but give the audience a look at how times were back then. One employee explained that she will go in there looking for a photo about something and end up finding 3 photos about something completely different but equally as important. I am so glad to see that they are making use of all the photographs that they have kept for all of these years. It is neat for specific communities to see how they gave grown over the years but still appreciate the past. The new NBC nightly news anchor, Lester Holt appeared at the Columbia Journalism School for an event of ethics. Perhaps one of the most interesting things about that was his predecessor is the infamous Brian Williams known for his ethical transgression. One professor asked how the NBC team moved on from the Williams debacle earlier in the year. Holt responded by saying that it was a family matter and it was difficult for all of them to get over. I think this is so interesting that during the entire ethical debate this is the only time Brian Williams name was mentioned and when it was Holt answered it with very little detail. As the talk continued there was still little of ethics actually mentioned and Holt focused on treating situations with compassion. With his promotion he was the first full-time solo black anchor of a nightly news network. He remembers his mother telling him a story about when he was 5 years old and Holt asked, “Why are there no colored people on TV?” He is proud that people are able to turn on the TV and see that now. I find this important because he went there to talk about ethics and ended up inspiring students in an entirely different way. I am so happy that Lester Holt has been given this opportunity. I never disliked Brian Williams until his whole ethical situation unfolded. When I listen to the nightly news I want to make sure what I am hearing is accurate, like most all other people. This was not the case we Brian Williams we found out. Even though he had a major slip up he still left some big shoes to fill. Lester Holt has done just that and I am so happy to see him succeed, he absolutely deserves this anchor position. Some veteran reporters have found themselves leaving the newspaper business to work for a non profit. 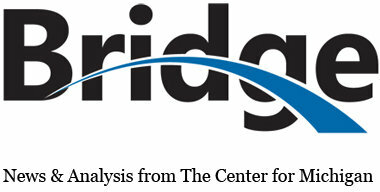 In Michigan there is an online publication known as Bridge. They have offices in Lansing and Detroit but sometimes meet at someone’s home in Ann Arbor. The publication was first launched in September of 2011. Since then they have received more recognition, readership and digital audience. So what sets this group of reporters aside from all others? Well their stories take much longer to write. They all take the time to think and reflect on a topic or story. Many of them will conduct interviews, continue researching, build spreadsheets and keep crunching numbers for a month or more at times. This work ethic is extremely important because it sets them apart. Today most mainstream newspapers or even online publications are so involved in being the first one to get the story out and then quick send it to the public and move on. Without the strict deadlines there is never ending possibilities of what one could uncover. Growing up in a world that revolves around a faced paced media and learning as a journalist to have a strong social media skills I find this very interesting, Their reporters are not forced to keep their social media sites up to date, or even have them in the first place. They don’t focus on getting the story out in time but on the solutions. This is so important to have these types of stories because sometimes we never hear the outcome or just that it was bad not how it can get fixed. Also in class we have been learning about navigating through websites and what makes them easier as a viewer. One thing I noticed on most sites where I have issues is with the advertisements. Bridge has no ads! Their $50,000 comes through grants and personal donations. This just proves how many people still support this old school style of journalism. This is a huge reminder of how important this style of journalism is. I understand why it is so important to get the story out on time and why there are strict deadlines. But at the end of the day we still need reporters like the ones at Bridge. They show us how to come up with solutions and take the time to show us why something is the way that it is based on hard data. I am glad to hear that this publication is doing so well and I hope that they continue to grow in the future.